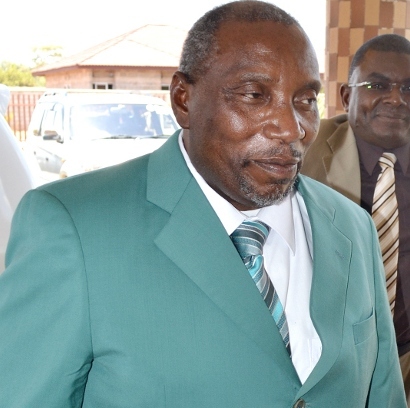 Even before late Information Minister Kennedy Sakeni is put to rest, the uncaring PF has already moved in to adopt his son Vincent Sakeni as their candidate for the forth-coming Mansa Central by-election, highly placed sources have disclosed. Sakeni is due to be buried in Samfya today, September 10, 2013. When Mr. Sakeni was hospitalised in India and later University Teaching Hospital, the Zambianwatchdog kept the nation updated with the true picture of his condition while the PF government through their acting Information Minister Fackson Shamende kept mocking his illness by saying he was merely out on his scheduled medical review and nothing was serious. Later the Watchdog revealed that various camps were busy lining-up candidates for Mansa Central even before Mr. Sakeni died but it has now emerged that one camp has settled for Mr. Sakeni’s son who they hope to use and gain sympathy votes. They hope the people of Mansa will vote for Sakeni’ son just like was the case with MMD’s Goerge Kunda who was succeeded by his son Howard Kunda in Muchinga constituency. But highly placed sources within the PF say Sakeni’s son, Vincent, has been very critical of the PF and somehow blames the party for the death of his father because president Michael Sata did not allow him to quit his position when he requested earlier this year due to failing health. But some PF members, including Mr. Sata are determined to cool down the storm in the family by adopting Mr. Sakeni’s son who is not even interested in politics but wants to concentrate on his father’s manganasee mine he left in Mansa that was heavily used by the PF as a conduit for money to the party.